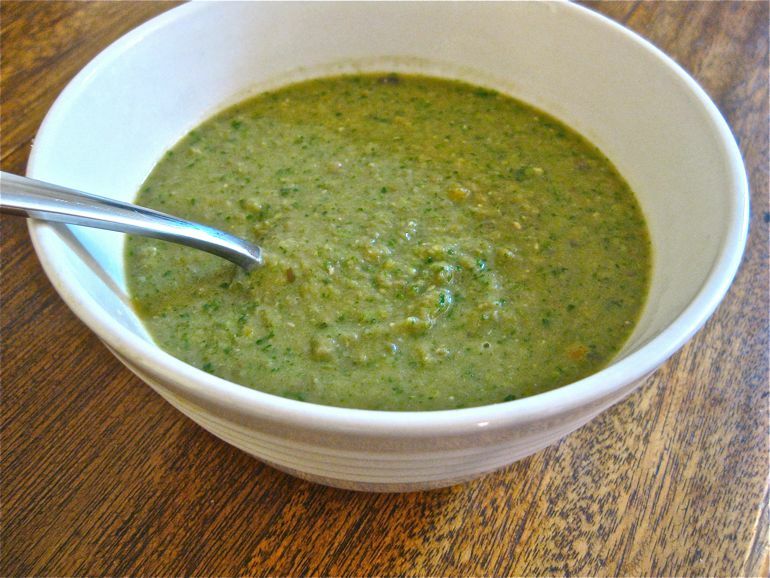 This is a pureed lentil and spinach soup — it is light and fresh tasting. By incorporating the fresh spring spinach, a good amount of sweet carrots, and a bit of coconut milk, this soup becomes the perfect transitional meal for an early spring dinner. In a large soup pot, add olive oil and onions and sauté on medium heat until translucent, add garlic and cook until fragrant. Add carrots and cook another 3 to 4 minutes. Add lentils and stir for about a minute. Add broth or water, oregano, bay leaves and pepper and bring to a boil. Boil for about 5 minutes then reduce heat to a simmer for about 30 minutes or until lentils are completely cooked. Remove bay leaves. Add spinach and stir for about 1 minute. Remove from heat and transfer the soup in two batches to a blender or food processor and blend until smooth. (Be careful if using a blender and make sure to hold the lid down firmly so that the hot soup doesn’t fly everywhere.) Return blended soup to the pot and turn heat to low. Stir in ¼ to ½ cup coconut milk, depending on how much coconut flavor you like. Add cayenne pepper and salt to taste. * Place lentils in a bowl and cover with water. Let soak for at least 3 to 4 hours, or soak them overnight. Drain and rinse several times before using.